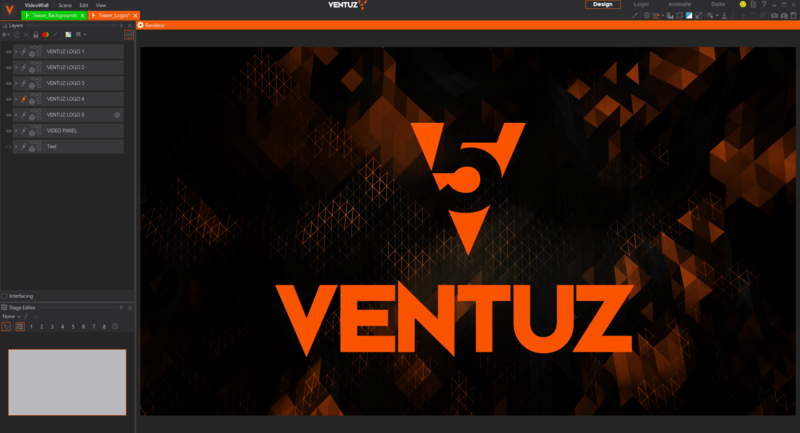 The new version of Ventuz is released. Free personal learning edition (PLE) is available for download at Ventuz homepage. The software had a complete overhaul and is now more artist-friendly than previous versions. For instance, Ventuz elements like viewport nodes – that were perhaps too confusing to users that had no computer graphics background are revamped in Ventuz 5 as much more intuitive 3D and 2D layers. Layers also come with a nice set of post-processing effects like view and color distortions and blur effects. Those kind of effects are familiar to anyone who had any experience with popular image manipulation tools like Adobe Photoshop or motion graphics software like Adobe AfterEffects. In fact, Ventuz is now capable of importing your Photoshop layer structure as Ventuz 2D layers! There are many other improvements like new geometry importer and Live Link with Maxon Cinema 4D scenes. Unfortunately, this version of Ventuz still uses DirectX 9 API. Porting of the graphics engine to the new APIs like DirectX 12 and Vulkan will be considered in the upcoming versions.